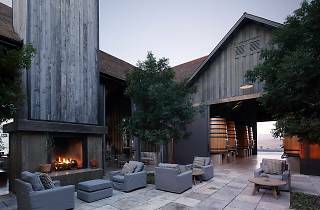 Ram's Gate is a sophisticated winery serving chardonnays, pinot noirs and a splash of sauvingnon blanc overlooking sweeping inveyard vistas. 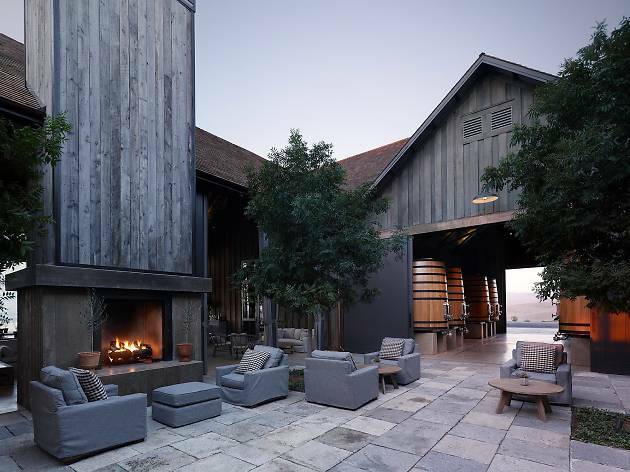 It's a quiet spot (no pets, no visitors under 21) that focuses on a well-executed tasting experience, whether in the tasting room—a modern interpretation of the weathered farmsteads of Carneros—or the beautiful, spotless barrel halls. If you're looking for something a bit more involved than a simple tour or tasting, Ram's Gate offers a pond-side, catered picnic for two (with personal valet, but of course), as well as multiple culinary pairing tastings. Or, join a group tasting and then roam the grounds on your own—be sure to stop in the garden, or, if it's a bit chilly, enjoy some pinot by the fireplace. How to visit: Tours can be scheduled Thursday through Monday from 10am to 6pm. A four-wine flight tasting is seated, takes about 45 minutes and costs $40 per guest; other options include wine and food pairings, group tastings, picnics and more. Reservations required. THIS PLACE IS A DREAM! we first did a wine tasting in the open barn area. We got the cheese plate, which was an awesome selection. I've never had chocolate on a cheese plate, but I REALLY appreciated it. Then we got a few bottles and sat by the pond on blankets, which they provided. The entire day was heaven. Highly recommend for a day trip from SF.